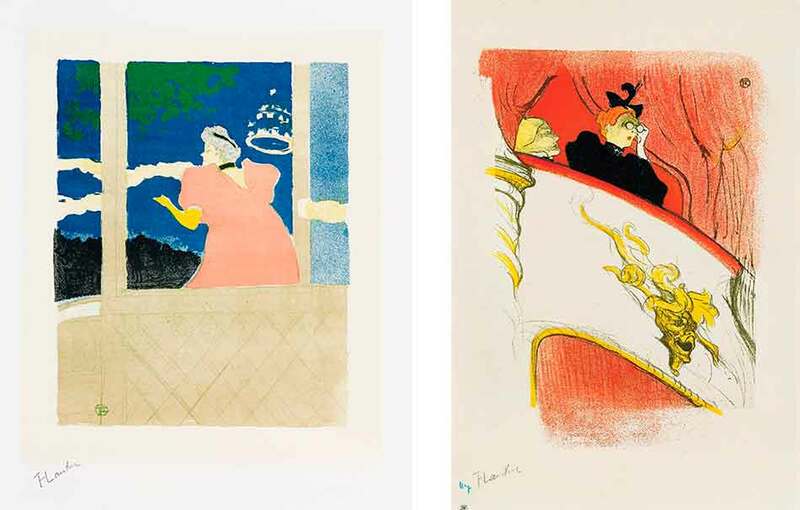 The Phillips Collection presents an extraordinary selection of Henri de Toulouse-Lautrec’s iconic and rare printed works from nearly the entire period of his lithographic career (1891–1899). An inaugural collaboration with the Montreal Museum of Fine Arts (MMFA), “Toulouse-Lautrec Illustrates the Belle Époque” assembles, for the first time in the United States, close to 100 defining images of late-19th-century Montmartre, drawn from one of the leading collections of prints and posters by Toulouse-Lautrec. 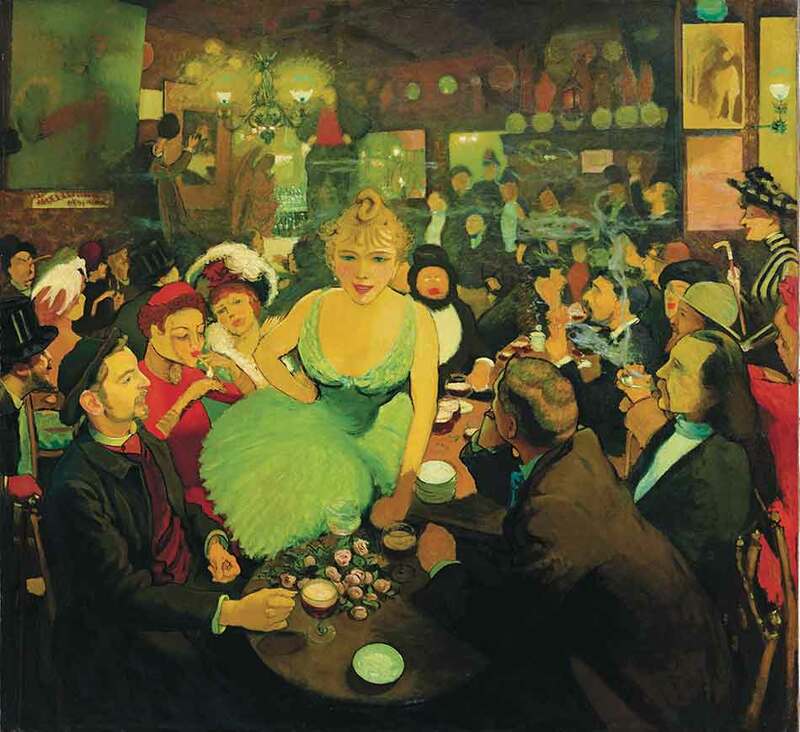 After training with academic painters in Paris, he established a studio in bohemian Montmartre and was regularly seen at lively hot spots like the Chat Noir, the Mirliton, and the Moulin Rouge. His impressions of these local amusements fashioned a portrait of modern life. He is best known for capturing the heart of Parisian nightlife in dynamic cabaret and dance hall scenes inspired by the city’s burgeoning entertainment district. 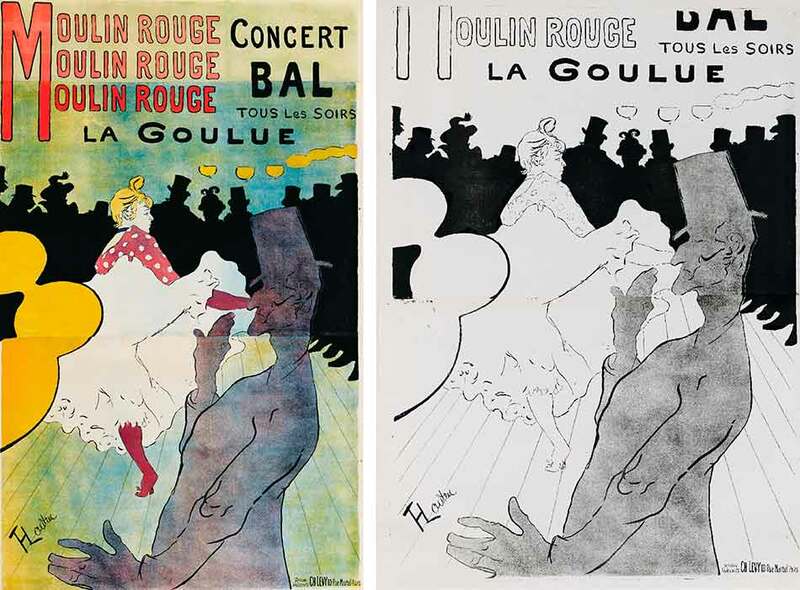 Included in the special exhibition at the Phillips is Toulouse-Lautrec’s first lithograph, the poster Moulin Rouge, La Goulue (1891), which made him an overnight success. Produced in some 3,000 impressions, the poster’s massive scale, fragmented forms, compressed pictorial space, and range of colors broke new ground. By presenting this significant work alongside a unique trial proof in black and white, the exhibition provides a glimpse into the artist’s highly involved printmaking process. Other special features on view include never-before-published trial proofs, unique images, and rare prints displayed with richly colored final impressions. 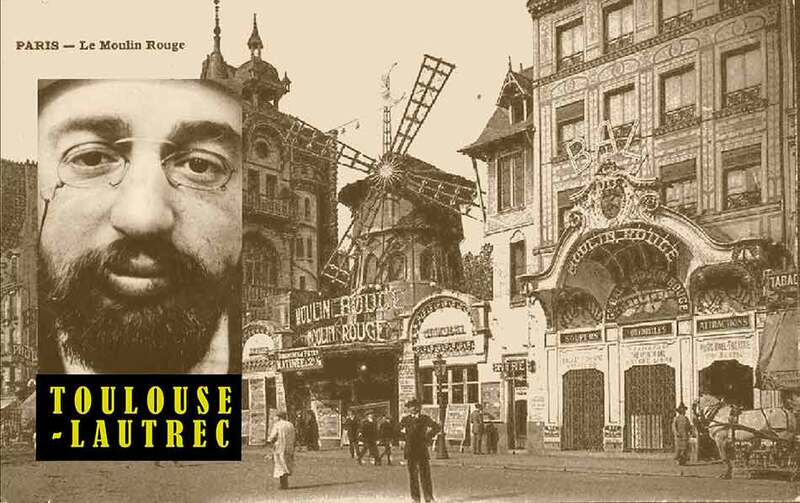 Left: Henri de Toulouse-Lautrec, Moulin Rouge, La Goulue, 1891. Brush and spatter lithograph, printed in four colors. Key stone printed in black, color stones in yellow, red, and blue on three sheets of wove paper, 75 3⁄16 × 46 1⁄6 in. 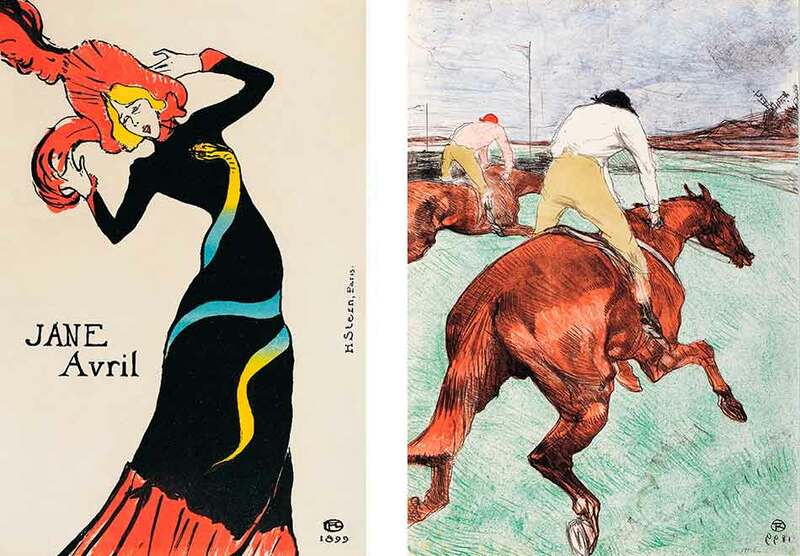 Private collection.Right: Henri de Toulouse-Lautrec, Moulin Rouge, La Goulue, 1891. Brush and spatter lithograph, printed in black on two sheets of wove paper. Trial proof, 65 3/4 × 46 7⁄16 in. Private collection. Many of the posters were commissioned by famous performers like Jane Avril, May Belfort, Aristide Bruant, and May Milton. These personalities, among others, are brought to life through Toulouse-Lautrec’s perceptive skills of observation and caricature. By maximizing the impact of just a few details, their celebrity was immortalized in these masterful works that caught the public’s attention. 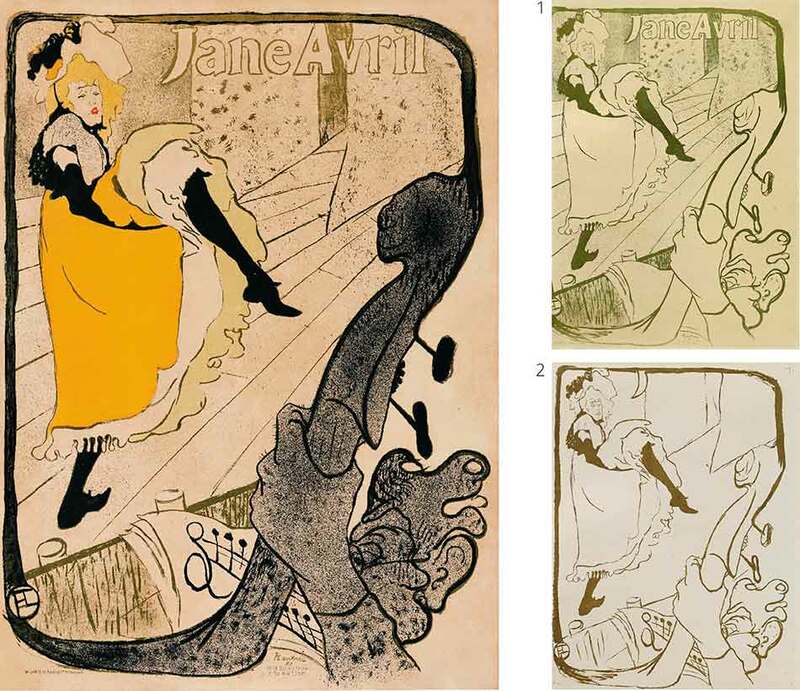 Toulouse-Lautrec’s arrival in Paris also coincided with both revival and innovation in the technology of color lithography. The sheer scale of the posters plastered around the city transformed Paris into an open air exhibition, while limited-edition lithographs and print albums designed for the home catered to collectors. This exhibition highlights Toulouse-Lautrec’s embrace of printmaking and his experiments with the medium that revolutionized the field. 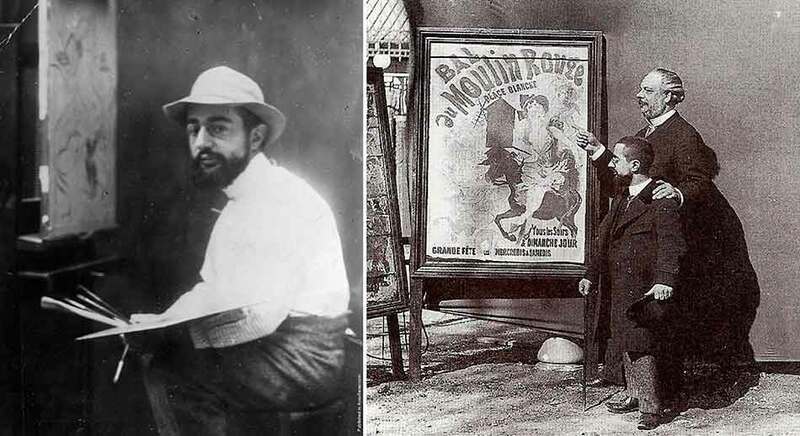 Left: Henri de Toulouse-Lautrec, The Englishman at the Moulin Rouge, 1892. Brush and spatter lithograph, printed in six or seven colors. Key stone printed in olive green, color stones in aubergine, blue, red, yellow, and black on wove paper. State II/II, 21 × 14 3⁄4 in. Private collection.Right: Henri de Toulouse-Lautrec, Ambassadeurs, Aristide Bruant, 1892. Brush and spatter lithograph, printed in five colors. Key stone printed in olive green, color stones in orange, red, blue and black on two sheets of wove paper, 52 15⁄16 × 36 5⁄8 in. Private collection. 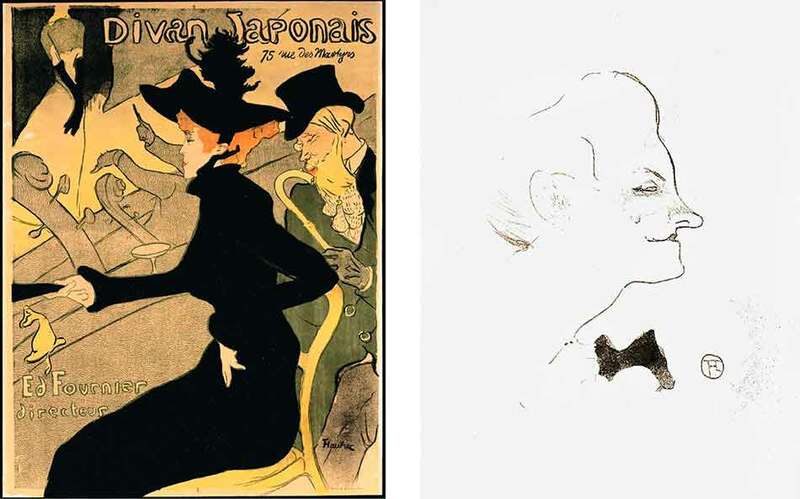 Left: Henri de Toulouse-Lautrec, Divan Japonais, 1892–93. Crayon, brush, spatter, and transferred screen lithograph, printed in four colors. Key stone printed in olive green, color stones in black, yellow, and red on wove paper, 313/4 × 23 15⁄16 in. Private collection.Right: Henri de Toulouse-Lautrec, Yvette Guilbert, 1893. Brush and crayon lithograph, printed in brownish black on wove paper. Only state, regular edition, from Le Café Concert album, Paris: L’Estampe originale. Private collection. 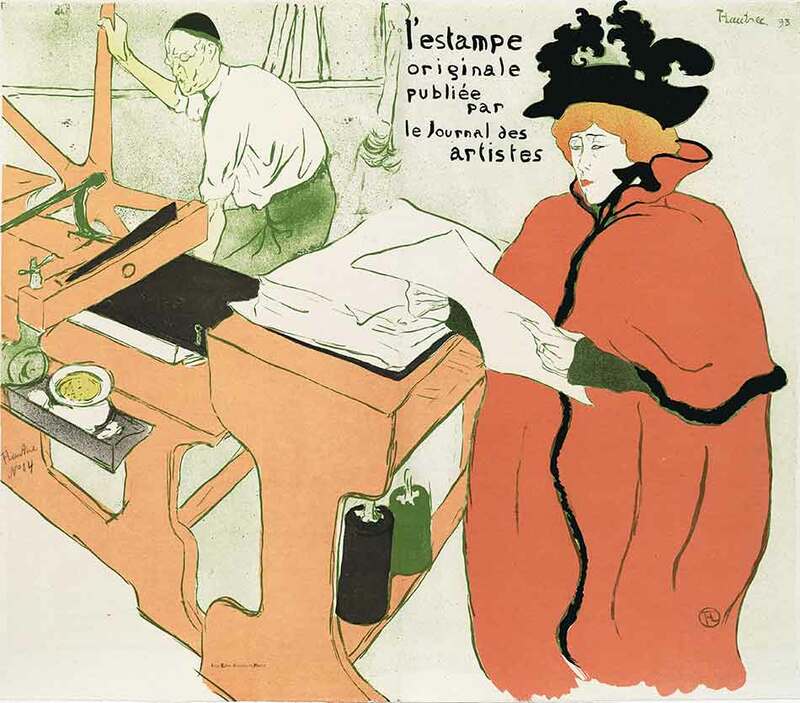 Henri de Toulouse-Lautrec, Cover for L’Estampe originale, 1893. Brush and spatter lithograph, printed in six colors. Key stone printed in olive green, color stones in beige, salmon red, red, yellow, and black on wove paper. Only state, 22 1/4 × 25 11⁄16 in. Private collection. Left: Henri de Toulouse-Lautrec, Jane Avril, 1893. Brush and spatter lithograph, printed in five colors. Key stone printed in olive green, color stones in yellow, orange, red, and black on wove paper, 48 13⁄16 × 36 in. Private collection.1. Henri de Toulouse-Lautrec, Jane Avril, 1893. Brush and spatter lithograph, key stone printed in olive green on wove paper. Trial proof, 47 9⁄16 × 33 7⁄8 in. Private collection2. Henri de Toulouse-Lautrec, Jane Avril, 1893. Brush and spatter lithograph. Key stone printed in olive green on wove paper. Unrecorded trial proof, 47 5⁄8 × 34 5⁄8 in. Private collection. Left: Henri de Toulouse-Lautrec, At the Ambassadeurs, Singer at the Café-Concert, 1894. Crayon, brush and spatter lithograph, printed in six colors. Key stone printed in olive green, color stones in yellow, beige-gray, salmon pink, black, and blue on wove paper. Only state, 12 × 9 3/4 in. Private collection.Right: Henri de Toulouse-Lautrec, The Box with the Gilded Mask, about 1894. Crayon, brush, and spatter lithograph with scraper, printed in five colors. Key stone printed in olive green, color stones in red or brown-red, yellow, graybeige, and black-olive green or black on imitation Japan paper. Only state, 14 5⁄8 × 12 7⁄8 in. Private collection. Left: Henri de Toulouse-Lautrec, Mademoiselle Marcelle Lender, Half-length, 1895. Crayon, brush, and spatter lithograph, printed in eight colors. Key stone printed in olive green, color stones in yellow, red, dark pink, turquoise-green, blue, gray, and yellow-green on wove paper. State IV/IV, 12 15⁄16 × 9 5⁄8 in. Private collection.Right: Henri de Toulouse-Lautrec, May Belfort, 1895. Crayon, brush, and spatter lithograph, printed in five colors. Key stone printed in olive green, color stones in red, black, gray, and yellow on wove paper, 31 5⁄16 × 24 in. Private collection. Left: Henri de Toulouse-Lautrec, May Milton, 1895. Crayon, brush, spatter, and transferred screen lithograph, printed in five colors. Key stone printed in olive green, color stones in blue, red, yellow, and black on wove paper, 31 5⁄16 × 24 in. 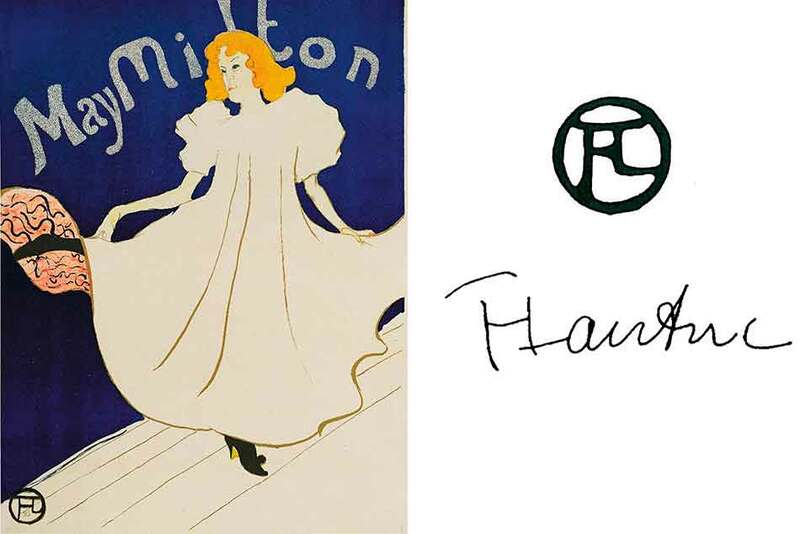 Private collection.Right: Henri de Toulouse-Lautrec signature and monogram. 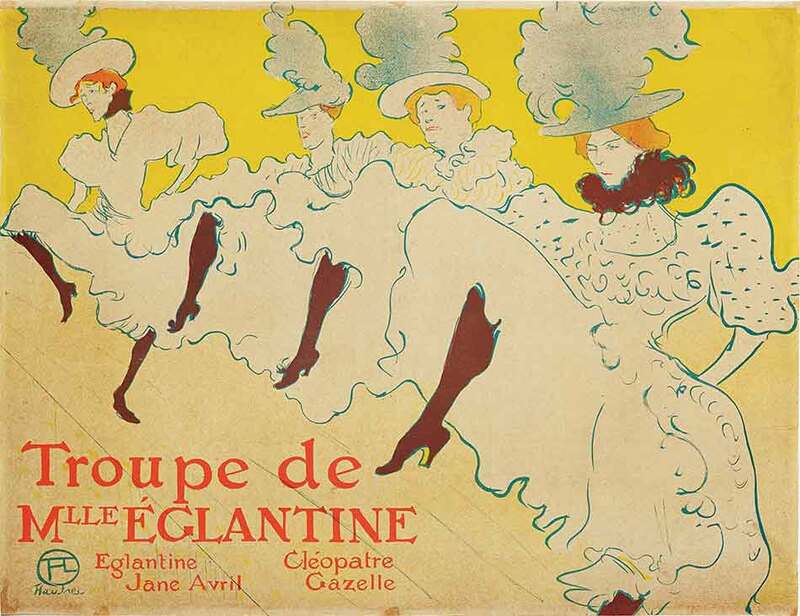 Henri de Toulouse-Lautrec, Mademoiselle Églantine’s Troupe, 1895–96. Brush, spatter, and crayon lithograph, printed in three colors. Key stone printed in turquoise, color stones in red and yellow on wove paper, 24 5⁄16 × 31 5⁄8 in. Private collection. Henri de Toulouse-Lautrec, The Photographer Sescau, 1896. Brush, crayon, and spatter lithograph, printed in five colors. Key stone printed in blue, color stones in red, yellow, and green on wove paper, remarque in black, 23 7⁄8 × 31 ½ in. Private Collection. 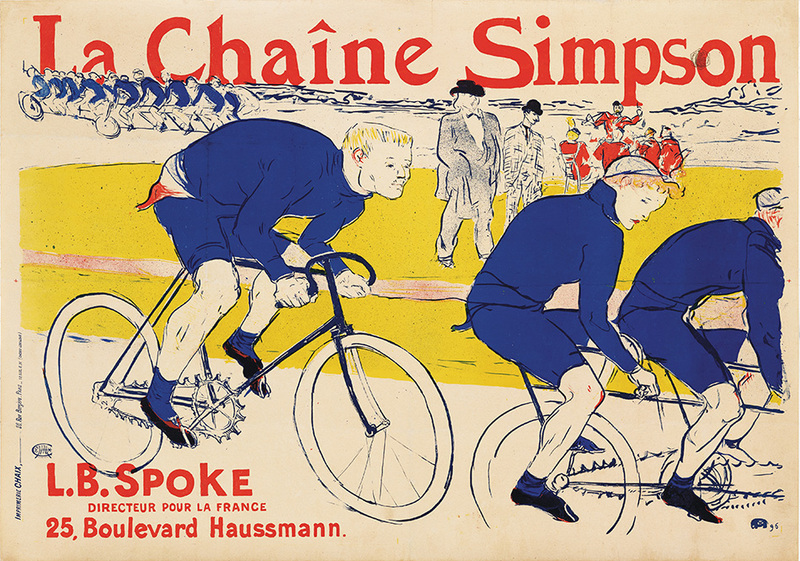 Henri de Toulouse-Lautrec, The Simpson Chain, 1896. Brush, crayon, and spatter lithograph, printed in three colors. Key stone printed in blue, color stones in red and yellow on wove paper, 32 5⁄8 × 47 1/4 in. Private Collection. Left: Henri de Toulouse-Lautrec, Jane Avril, 1899. Brush lithograph, printed in four colors from three stones. Key stone printed in black, one color stone in red, one in yellow and blue on wove paper, 22 1⁄16 × 14 15⁄16 in. Private collection.Right: Henri de Toulouse-Lautrec, The Jockey, 1899. Crayon, brush, and spatter lithograph, printed in six colors. Key stone printed in black, color stones in turquoise-green, red, brown, gray-beige and blue on China paper. State II/II, 20 3/8 × 14 1/4 in. Private collection. The exhibition also includes additional works by Théophile Alexandre Steinlen’s famous poster Tournée du Chat Noir (1896) and Louis Anquetin’s never-before-exhibited painting Inside Bruant’s Mirliton (1886–1887). Once considered lost, with only preliminary drawings as evidence of its existence, Anquetin’s large painting invites viewers inside Aristide Bruant’s lively cabaret Mirliton, where Toulouse-Lautrec, Bruant, and Émile Bernard watch entertainer La Goulue perform. Louis Anquetin, Inside Bruant’s Mirliton, 1886–87. Oil on canvas, 57 1⁄16 × 61 13⁄16 in. Private collection. During his lifetime, museum founder Duncan Phillips acquired four works on paper by Toulouse-Lautrec. His first purchase made in 1927 was the lithograph Miss May Belfort (grande planche) (1895). 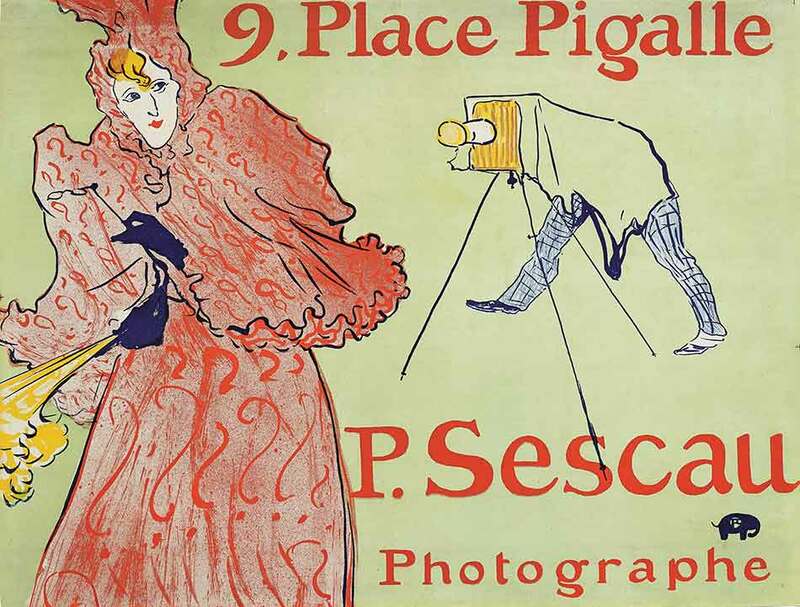 In 1939, Phillips presented the museum’s only previous exhibition of Toulouse-Lautrec’s art, containing 55 works (drawings, prints, and paintings) sourced from the Art Institute of Chicago and private collections. “Toulouse-Lautrec Illustrates the Belle Époque” marks the first solo showing of the artist’s work at the Phillips in nearly 80 years. Photo. Left: founder Duncan Phillips. Right: founder Duncan Phillips and Marjorie Phillips. 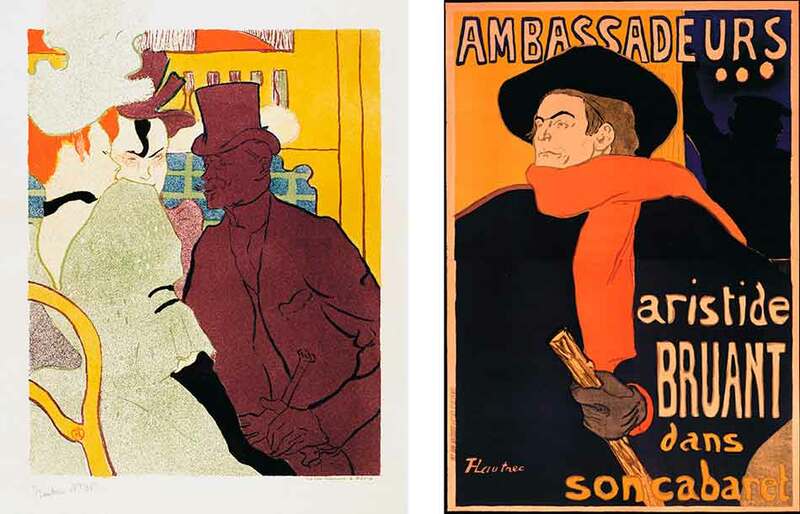 An essay by French art historian Gilles Genty on the social milieu of Toulouse-Lautrec, and an essay on the artist’s use of lithography by Hilliard T. Goldfarb, the MMFA’s Senior Curator–Collections and Curator of Old Masters. A detailed chronology of the artist’s life and a description of the legendary personalities of Montmartre prepared by Phillips Associate Curator Renée Maurer are also included. This book is published in English and French editions by the MMFA (main publisher) and The Phillips Collection (associate publisher) in collaboration with Les Éditions Hazan, Paris (associate publisher). The English edition is distributed by Yale University Press. Programs. 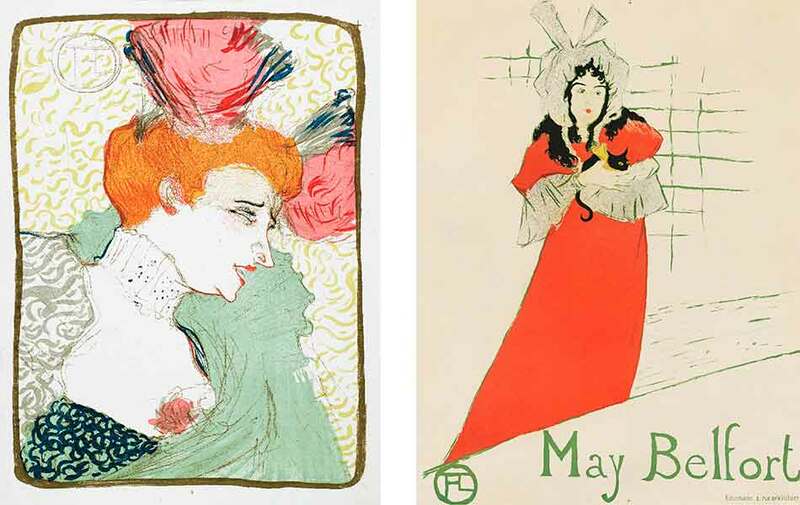 While the exhibition is on view, several public programs are planned to further celebrate Toulouse-Lautrec, his printmaking, and the art and culture of Montmartre. Along with Phillips after 5, film screenings, workshops, and events inspired by Parisian nightlife, the Phillips invites visitors to further engage through planned lectures featuring curators from both institutions, gallery talks facilitated by local artists, and open conversations on exhibition related topics led by influential thought leaders. For more information about the events planned throughout the spring, please visit www.phillipscollection.org/events. Sponsors. 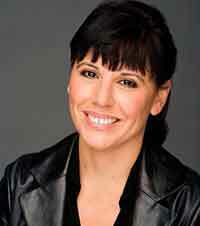 Generous support is provided by Share Fund and U.S. TRUST. The Phillips Collection, America’s first museum of Modern art, is one of the world’s most distinguished collections of Impressionist and Modern American and European art. Stressing the continuity between art of the past and present, it offers a strikingly original and experimental approach to Modern art by combining works of different nationalities and periods in displays that change frequently. The setting is similarly unconventional, featuring small rooms, a domestic scale, and a personal atmosphere. Artists represented in the collection include Pierre-Auguste Renoir, Vincent van Gogh, Edgar Degas, Henri Matisse, Pierre Bonnard, Paul Cézanne, Pablo Picasso, Paul Klee, Claude Monet, Honoré Daumier, Georgia O’Keeffe, Arthur Dove, Mark Rothko, Milton Avery, Jacob Lawrence, and Richard Diebenkorn, among others. The permanent collection has grown to include more than 1,000 photographs, many by American photographers Berenice Abbott, Esther Bubley, and Bruce Davidson, and works by contemporary artists such as Anselm Kiefer, Wolfgang Laib, Whitfield Lovell, and Leo Villareal. The Phillips Collection regularly organizes acclaimed special exhibitions, many of which travel internationally. The Phillips also produces award-winning education programs for K–12 teachers and students, as well as for adults. 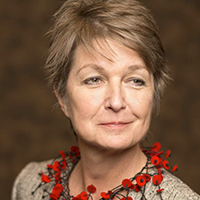 The University of Maryland Center for Art and Knowledge at The Phillips Collection is the museum’s nexus for academic work, scholarly exchange, and interdisciplinary collaborations. Since 1941, the museum has hosted Sunday Concerts in its wood-paneled Music Room. 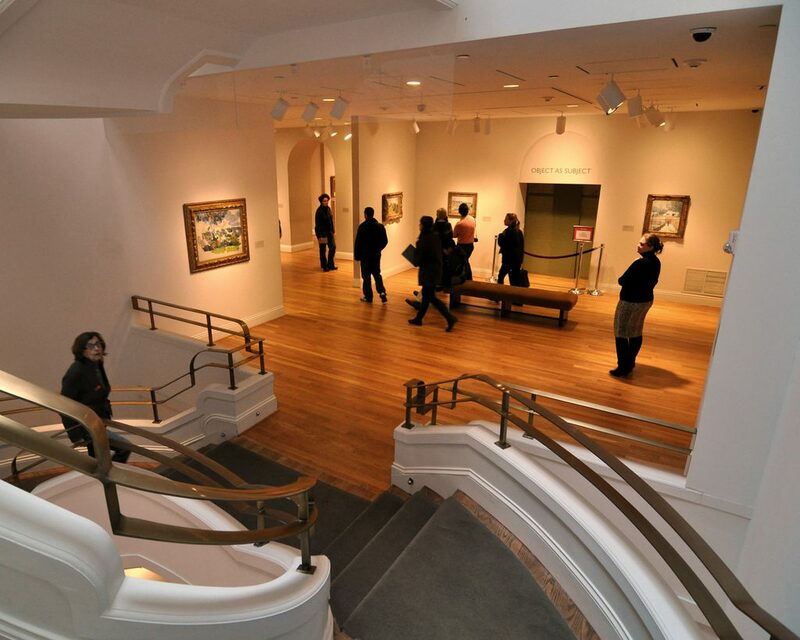 The Phillips Collection is a private, non-government museum, supported primarily by donations.